Apple Plans To Create 20,000 Jobs And Build New Campus : The Two-Way Apple says it's bringing billions of dollars back to the U.S. and using it to build a new campus and create 20,000 jobs. Analysts say the announcement is a mix of politics and economics. Apple announced in a statement on Wednesday that it plans to accelerate U.S. investment and create thousands of new jobs. For years Apple Inc. has been criticized for outsourcing manufacturing to China. 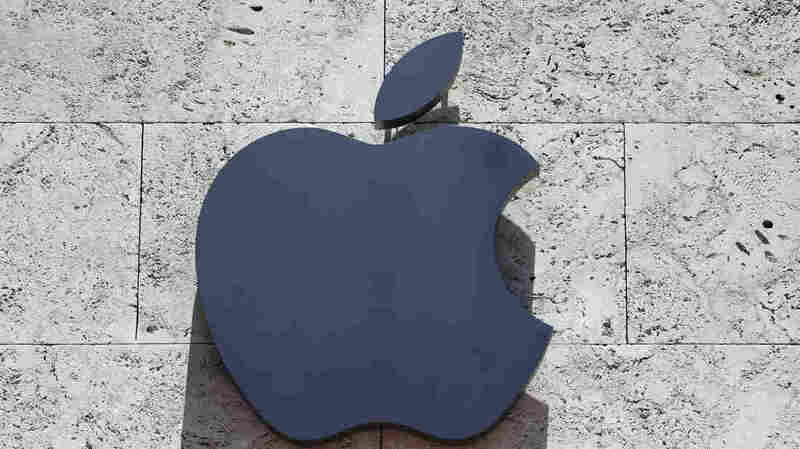 Apple says it plans to bring back billions of dollars it has kept in tax havens overseas, and that it will pay a one-time tax of $38 billion on its overseas cash holdings. "Apple CEO Tim Cook has been a critic of American tax laws. But under the new tax law, the company can bring back the money at a reduced rate. "Cook has been sensitive to criticism that Apple's been dodging U.S. taxes. With the announcement, he said, "We have a deep sense of responsibility to give back to our country and the people who make our success possible.' "
President Trump tweeted that Apple's decision is a "huge win for American workers and the USA!" He also attributed his policies for allowing Apple to bring "massive amounts of money" back into the U.S. Asked in an interview with ABC News whether the job creation announcements were directly related to the Republican tax plan, CEO Cook said, "Let me be clear: There are large parts of this that are a result of the tax reform, and there's large parts of this we would have done in any situation." "Apple also told employees Wednesday it is issuing each of them a bonus of $2,500 in restricted stock, according to a person familiar with the matter. The planned bonus, reported earlier by Bloomberg, adds Apple to the growing list of companies that are rewarding employees due to the new tax law." Apple also announced that it plans to invest $30 billion in capital spending in the U.S. over the next five years, by creating 20,000 new jobs and building a new campus. The announcement of a new campus comes after Amazon made a big splash by promising to build a second headquarters somewhere in the country, for which cities have been competing to be the next location. Apple hasn't announced where it will build its new campus, but it is expected to house the technical support staff there who speak with customers in the U.S.
Financial analyst Gene Munster told NPR, "[Apple's] testing have found that people really want to talk to someone for support that's based in the country that they're calling from and so Apple U.S. is their biggest base so they want to accommodate that."